LucasArts have announced a Wii version of ´Star Wars: The Force Unleashed´ which will offer "owners the unique chance to live out their Jedi fantasies by wielding the Wii Remote™ as a lightsaber while using the Nunchuk™ controller to torment foes with their Force™ powers." LucasArts and developer Krome Studios are creating an equally enthralling version of The Force Unleashed on the Wii, PlayStation®2 computer entertainment system and PSP® (PlayStation®Portable) system, and n-Space, Inc., is developing a version for the Nintendo DS™. All will feature the same storyline, with opportunities to unleash the Force in devastating new ways. Australian developer Krome Studios is responsible for the ´TY the Tasmanian Tiger™´ series and are currently busy with ´The Legend of Spyro: The Eternal Night´ for Wii and ´Viva Pinata: Party Animals´ for Xbox360. Finally, we have confirmation of the game I exclusively revealed, way back in May 2006. I was only wrong about the timing, believing Nintendo would show a teaser trailer there and then. That was my interpretation, though. The information I got from my source was entirely accurate. Also, bear in mind that while I may have been lucky enough to be the first journalist to know about the game (certainly the first to make it public), other media outlets soon followed suit. IGN confirmed that LucasArts was ´looking into it´ only days after I revealed the game and, finally, in May this year, French news agency AFP removed the last doubts anyone of you may have had. So, there you have it. I readily admit that I never knew much. But I knew that a ´Star Wars´ game featuring hot lightsaber action was either in pre-production or development by early May 2006. And it seems obvious that this game was ´Star Wars: The Force Unleashed´. I was wrong about the entire game being a proper exclusive. But, again, there are almost no straight ports to Wii and this one features ´an exclusive duel mode´. Anybody else concerned about the developer doing the game? Last I saw Ty and Spyro are not very good games. Well your original post said it was going to be a Wii exclusive. This isn't a wii exclusive at all. True, I did say exclusive. However, that was more interpretation on my part. My original source only told me that there would be lightsaber action on Wii. And bear in mind that with the console´s quirky controls, there is no way of doing a straight port. Almost every Wii game has exclusive components in some way. I do admit, though, that I interpreted my source wrongly. You´re right there. Didn't you also say in a totally separate post that the game was NOT The Force Unleashed but a totally new Star Wars game for Wii? Or did you never really know what the game would be about or named other than having Light Sabers? Well I am aorry Falafel but I disagree with you.. This game is a Multiplatformer with a "Wii option" I would call it.. So very far from your prediction.. If I am right you predicted a Wii Star wars game around a Lightsaber i.e. with the Lightsaber portion the central part.. I never said it wasn´t ´Force Unleashed´. And no, I never knew a great deal of detail about the game. To make sure, I updated the post with a chronology of what I said and when. Hmmm... your information does suggest that despite only announcing this recently, the Wii version of the Star Wars game started dev much sooner. One of the fears of Wii fanboys is that this port of Force unleashed is being handled by an OUTSIDE developer (Krome studios) who are also handling the PS2 and PSP ports of the game. LucasArts is handling the XBox 360 and PS3 games internally. your information does suggest that despite only announcing this recently, the Wii version of the Star Wars game started dev much sooner. Yup. Typically, games take a development time of around two years. So with this one scheduled for release in early 2008, the studio must have started around E3 2006. Regarding Krome Studios, they do have some experience under their belly. Founded in 1999, they have just finished ´Hellboy´ for PS3 and 360, to be published by Konami. Take a look at the title here. You´ll find that it looks decent. That's just unfair to be prejudiced against a developer on the types of properties they worked on before. Often times small developers are trying to get started up and get enough money to keep running a game company... this usually means working on a ton of kid friendly properties too. Now they're releasing the brilliant-looking Uncharted: Drake's Fortune on this fall for the PS3. And Insomniac Games? They INVENTED Spyro the dragon. They also released Resistance Fall of Man for the PS3, and their Rachet & Clank is considered a big blockbuster this fall. Just because a developer has worked on licensed ports, or kid-friendly titles like Spyro doesn't mean that they should be treated like dirt. Why on Earth would a developer make a Lightsaber game which requires use of the NUNCHUKU? Last I checked, the operation of the Lightsaber in combat requires two freaking hands. 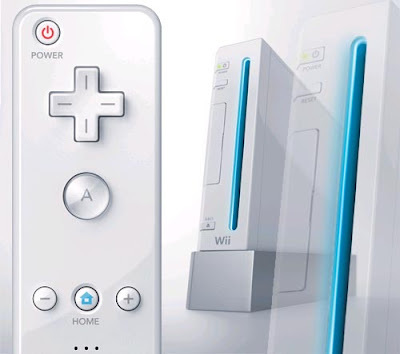 Now all the Jedi masters can go crazy on the Wii...good for them. That was D3 Goldmy interpretation, though. The information I got from my source was entirelyBuy GW2 Gold accurate.